Hmmm, had to think a bit on this one. Basically what you see is what you get. But maybe here are a few things you folks didn't know about me. 1) I am an animal lover of all kinds. I can honestly say that I would rather spend most of my time with animals than most people on this earth. I feel better when I'm close to them and can share my life with them. Hence this is why I have surrounded myself with rescue animals. I feel good abut saving them and giving them the life I feel that they deserve. I honestly miss my dogs and cat and horse throughout every day and wonder what their doing. I know I'm a total dork! 2) I have no idea how I ever became a social worker. I am not the typical social worker personality. I'm direct and straightforward and really have a heart of a rock when it comes to most human matters. I have had to work very hard to develop empathy and see situations from all different angles. This has been a great experience for me personally. I only majored in Psych in college cause I took one class in highschool and liked it and had no idea what I wanted to do with my life. 3) I'm scared to death to take a path not yet pre-made. I think my parents have instilled responsibility to all aspects of my life. Must have insurance, must have a reputable job, must have retirement etc... What I really dream of doing is working with animals. I havn't figured out how that looks like or what it entails but I know I would be happiest doing that. This early spring I went to the Maine State Society for the Protection of Animals and looked around and gave them my resume. Would love to work at that place as long as it could support me financially. 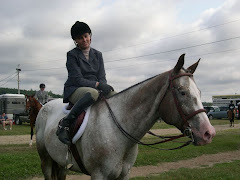 I really do believe that I have a gift of communicating with animals and teaching people about how animals think and react and could be a great teacher or PR person along with horse care. 4) I am a total jock. I hate dresses, I hate sitting still and I love competition. Games of any kind spark my interest. I even want to try boxing sometime. I will forever be 12 yrs old and love it. I sometimes embarass myself and others I am with but most of the time I don't care. I like to think that I am athletically gifted. 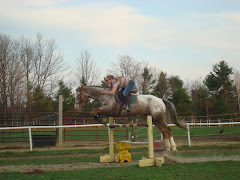 My parents were not happy when I decided to bypass the softball scholarship and ride horses instead. 5) I'm not that smart; trust me. Everything that I have learned and absorbed I have had to work for. People in my personal and professional life are always under the impression that I am really smart but that's not true. I think I have a good amount of common sense, but when it comes to academics I have to work really hard. I never did that well grades wise in highschool and when I went to college I was determined to get good grades and try my hardest. I ended up graduating with a 3.7GPA and was really happy because it was hard earned. It is one of the biggest accomplishments that I have done in my life. 6) I was a very late bloomer when I was young. You could call me the ugly duckling. I had braces and glasses. I never seemed to wear the cool clothes at the time and was extremely insecure of my social status. I still kinda am today but with different social pressures. The only thing that I really got accepted for from my peers was playing sports. I had and still have basically no chest. I have never pierced my ears and probably never will. People say that I'm pretty now and stuff but every time I look in the mirror I see the gawky brace filled kid who never seemed to fit in. I always try to walk with confidence wherever I go. My head up and correct posture. It makes me feel better about myself and that I can talk and be friends with everyone. My job is basically meeting new people all the time so I am getting better. I guess that's it. Any more questions just let me know, I'm basically an open book. Thanks for posting the tag - i kinda figured social work wasn't where you though you'd land but was a good smart decision and a solid career. I would've never guessed that you thought yourself to be an ugly duckling....I had braces too - always good eyes but I also usually did not have the trendiest of clothes to wear and was very angry that I had to have braces...but I always hung out the 4-H / FFA crowd in our school and high school so I at least felt accepted by a small group of people. You are very pretty now as an adult so I hope you don't still feel that way. At one point in time my folks, specifically my dad would've given anything for me to have "out grown the horse thing" so he wasn't thrilled I picked horses over golf. Although I was my art skills that earned me a scholarship the following fall at the same college. We have #1, #3 and #6 in common. I actually like myself a whole lot better now that I'm older and have more confidence in my looks, my abilities, etc. than I did when I was younger. I guess that's one of God's little compensations for middle age. I think you're very pretty.